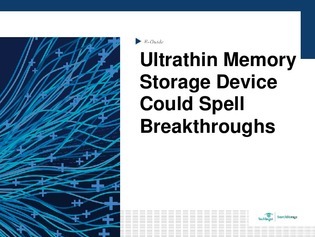 Traditionally, memory storage and transistors have existed as separate components—until now. Researchers at the University of Texas at Austin and Peking University claim to have developed the world's thinnest memory storage device—the atomristor, integrating memory with transistors on the same chip—capable of offering dense capacity. Download this expert guide for the latest on the atomristor, including suitable applications and future outlooks on the technology.